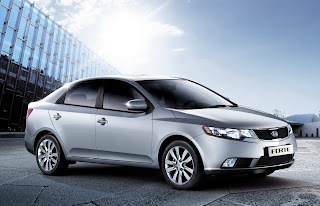 The replacement for the aging and typical Korean looking Cerato is nothing but praises from me. Sharing the same platform as Hyundai Avante, it is no surprise that the external design bare similarities but sharpened up to make it sportier. The interior has also shed all the looks of the old and replaced with a clean and flowing dash. 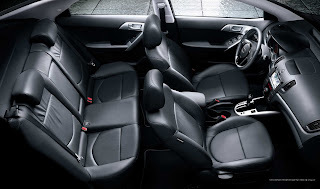 Higher specs comes with steering audio control and climatic aircon. It also sports a push start button. Its 1.6l petrol engine, common class here, produces 124bhp and consuming an average 14.1km/l of fuel (automatic transmission), a very good efficiency ratio. What's not to like of the new Forte? Many commented that the Forte is a copycat of Honda Civic, BMW 3 series, Mitsubishi Lancer, Mazda 3 and many more but to me, what is wrong with that? All those cars mentioned copied from other cars before one way or another. What matters is that the end results look good and in this instance, it's a job well done. 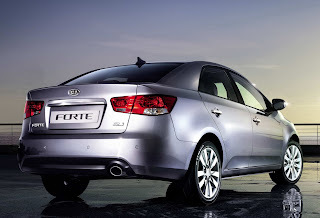 Priced approximately around 43-47k, the Forte is already available for advance booking before its launch soon in February. With a price and looks like that, it is expected to be a hit.